Sense the Magic of Diversity, all gathered in one Place! 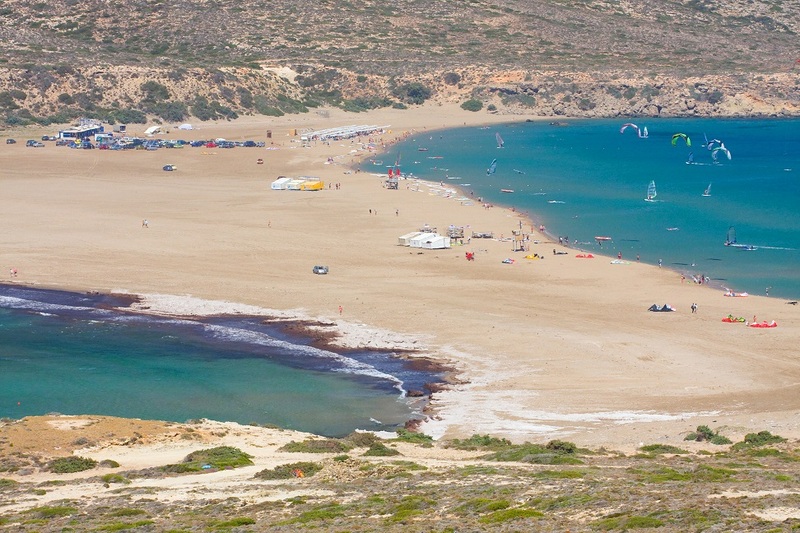 Prasonisi is a small island attached to Rhodes, popular for windsurfing and kite-surfing. At their “meeting point” you will find one of the most impressive beaches, that you will ever see. You will find the sand located in the middle and the sea divided in two. On the west side of the beach you will find the Aegean Sea, which is windy and has good waves for advanced surfers. On the eastern side you will find the part of the Mediterranean Sea. The wind here is calm, suitable for inexperienced wind surfers and for visitors who want to enjoy just some relaxing time at the sea. Do you thing that this is impossible to happen? Well, all you have to do is to take the chance and visit Prasonisi, in order to see another of the miracles than nature created!